The HomeCookedCD.com label provides exposure for emerging musical instrument technologies. Our recordings feature leading musicians playing musical instruments incorporating significant innovations. 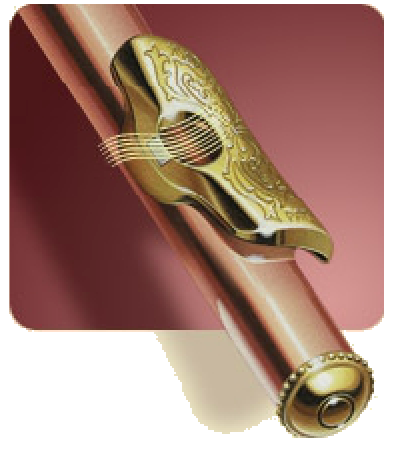 The first CDs focus on the modern Boehm vertical flute. Future releases will feature other innovative musical instrument technologies. Presently, these discs can be purchased by following these instructions. J.S. Bach's Air On The G String arranged by Theobald Boehm and played by Aralee Dorough UpRite flute, and Scott Holhauser, piano. Mark Growdon and Sarah Jacobs performing the final movement of the Sonata for Two Flutes by Jean-Jacques Naudot. The performance was one of many at a recital honoring Ernestine Whitman at her retirement from Lawrence University. Mark and Sarah both play "UpRite" flute headjoints made by Sandy Drelinger. ©2009–2019 Drelinger Headjoint Co. - All Rights Reserved.